If you have been following the calf drama, you already know that I have a stubborn, little bull on my hands. Friday evening he STILL wasn't nursing or taking a bottle. I was very concerned. He was still very tiny. I don't know how he had the strength to walk. He wasn't even strong enough to get up himself, we had to lift him up. In addition to Fival not sucking, Molly still hadn't passed the placenta. Saturday morning, I call the vet and we loaded them up. Of course when it rains, it pours. Two miles outside of town, a tire on the trailer blows. That was the last straw for me. Between a sick calf, potentially sick cow, not having the strength of completely milk her out, and now a flat tire, I was DONE. I just started praying. GOD please help me! Please give us the knowledge, ability, and tools we need to help our animals! GOD, being merciful, sent friends out to give us encouragement and help with the tire. 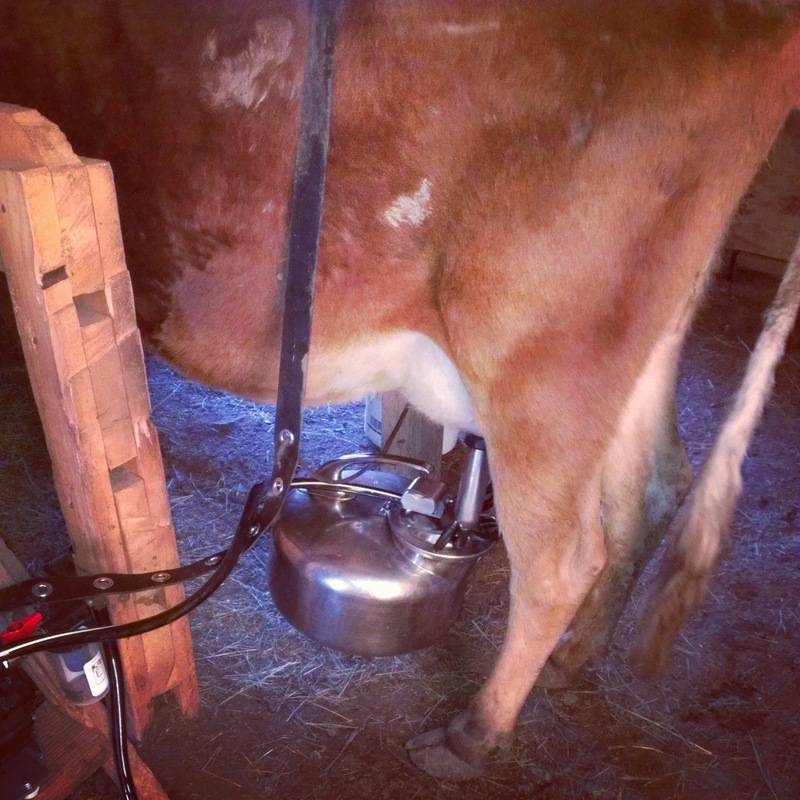 At the vet, Molly was treated with antibiotics and the placenta was mostly removed (it has to detach on it own), and I ran into a friend of my husband who mentioned that she had a milking machine that I could use and she had it in town, 2 blocks away. 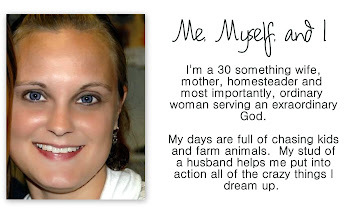 Incredible considering that she lives over 30 miles away, in a different town. I went home feeling encouraged, confidant and very, very blessed. Fast forward a couple days. Fival taught himself to nurse, Molly's placenta detached, and I have mastered the milking machine. All is well on the homestead... for now. So happy. I do pray things continue to go well. Oh my! I am so glad things worked out for you all! That milker looks like it can really come in handy. I hope all is well on the homestead. I had just found your blog a couple months ago and would hate for it to disappear. Your posts are very interesting and informative!